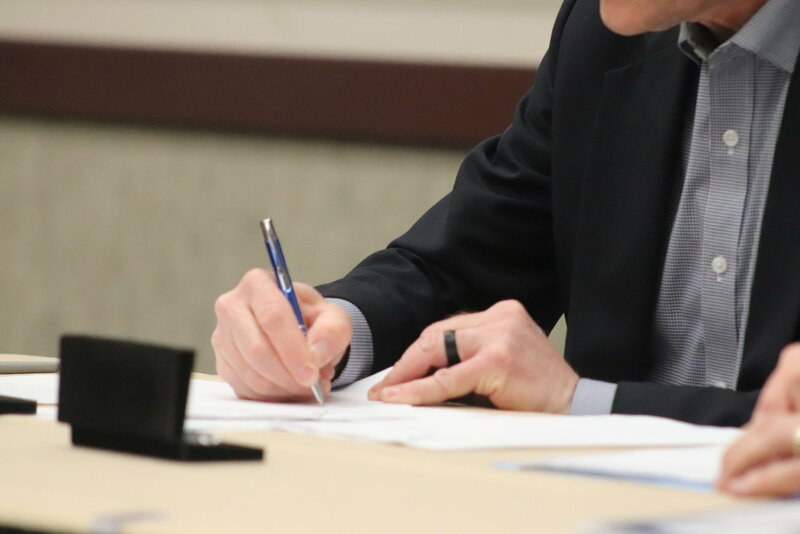 ST. GEORGE — State and federal water officials met in St. George Wednesday morning to sign a water exchange contract benefiting the Unita Basin area. The exchange is one half of an overall exchange of water rights between Utah and the federal government involving water released downstream from the Flaming Gorge Dam. The remainder of the water rights are being applied to the Lake Powell Pipeline, water officials said. “There will be a separate agreement for the Lake Powell Pipeline project that will be similar to this, but we need to complete the (National Environmental Policy Act) process on that project before we can get to that point,” said Eric Millis, director of the Utah Division of Water Resources. 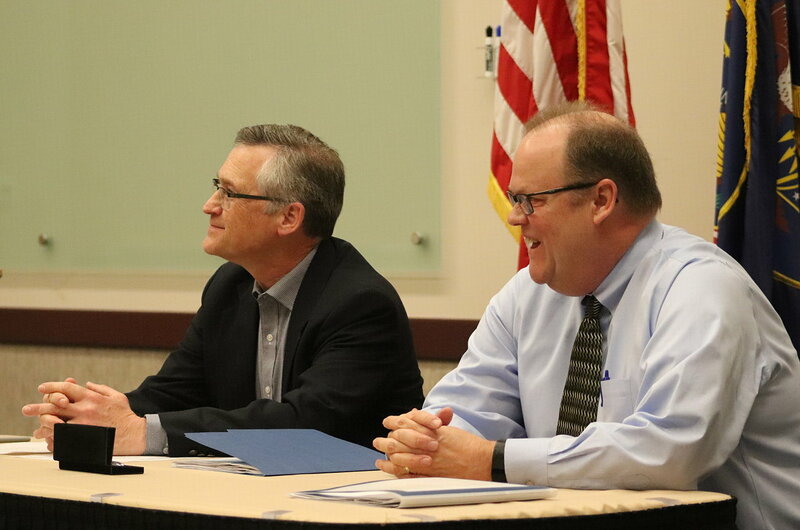 Representatives of the Utah Division of Water Resources, U.S. Bureau of Reclamation and associated parties met at the Dixie Convention Center for a ceremonial signing of what is referred to as the Green River Water Rights Exchange contract. Under the the contract, the state agrees to give up its right to take water from the Green River and its tributaries, enabling Reclamation to meet flow and temperature requirements for the recovery of endangered fish under the Endangered Species Act. In exchange, Utah will receive an equal amount of water released from Flaming Gorge Dam. The contract allows Utah to use previously untapped water rights that will be applied to the Uintah Basin, Millis said. It will supply additional backup for regional reservoirs and provide a measure of water security for the area, officials said. The Utah Division of Water Resources purpose is to plan out, develop and conserve Utah’s water, Millis said. The origin of the water rights is tied to water that was once designated for use by the “ultimate phase” of the Central Utah Project that started in 1959. Congress deauthorized the construction of the ultimate phase in 1992 and Reclamation assigned the water rights associated with the ultimate phase back to Utah in 1996. Utah’s ability to access water rights connected to the unused ultimate phase allocation was secured earlier this year following an environmental study that found doing so had no significant negative impact on the water system. Though Moss further referred to the water exchange as “unethical and illegal,” he said the Ute Tribe currently is not seeking legal action over the matter. However, some environmental groups may be doing just that. “A small coalition of environmental groups are going to be challenging this contract in the courts,” Sarah Stone, of the group Living Rivers, said. The groups feel the environmental study done prior to the agreement was incomplete and not as thorough as it should have been, she said.